CAPE CANAVERAL, Fla.–(BUSINESS WIRE)–VDC Display Systems (VDC DS), a wholly owned subsidiary of Video Display Corporation (NASDAQ: VIDE), announced today that the company will soon commence deliveries of the new Sony SXRD® T-Series projector. The new Sony T-Series Projector is a new and improved next generation version of the very successful Sony S-Series Projector developed specifically for simulator applications and will enable VDC DS to provide even better â€œstate of the artâ€ visual display systems. When integrated with VDC DS added value products, Light Smear Reduction Module, high performance screens and an advanced auto calibration system for image warping, color and edge blend it will result in customers receiving a very high resolution and stable Visual Display that exceeds training requirements. The Sony T-Series projector is designed to meet many of the specific needs of Visualization, for Simulation and Command & Control applications. The combination of a very stable dual Xenon arc lamp plus a native resolution of over 8.8 Mega Pixels (4096 x 2160 pixels) enables the T Series projector to accommodate extremely high resolution images. 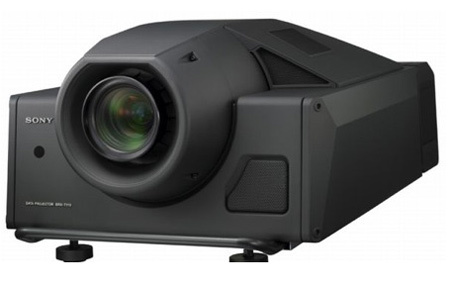 The SONY T105 and T110 projectors have been developed to provide a forward looking solution to a wide range of image display applications by utilizing the highest resolution imaging chip available on the market today. VDC is also pleased to announce that the company will be a Sony Authorized Service Center by the end of 2008. Key features of the Sony T-Series projector include increased Brightness and Contrast and Sony Professional Technical Support. VDC Display Systems VP Business Development, David Rushton, stated, â€œThe introduction of the T-Series projector enables VDC Display Systems to now offer both high resolution (4096 x 2,160) and lower resolution (1920 x 1080) projectors to all Military and Commercial customers in the Simulation Industry. VDC is very excited that the combination of the Sony Projector Portfolio and the VDC DS â€˜value added' benefits allows all Simulation and Command and Control applications to be to be fully addressed. Video Display Corporation designs, develops and manufactures unique solutions for display requirements for military, medical and industrial uses with emphasis on high-end training and simulation applications. Its product offerings include ruggedized LCOS, CRT and AMLCD displays as well as complete projection display systems utilizing VDC Display Systems Marquee(TM) and ESCP line of projectors. Video Display Corporation operates eight sales, design and manufacturing facilities throughout the United States and Europe. For more information, visit the Company’s web site at www.videodisplay.com.